Decorate your mantle or staircase with our Embroidered Vintage Cable Knit Stocking to bring festive Christmas joy. 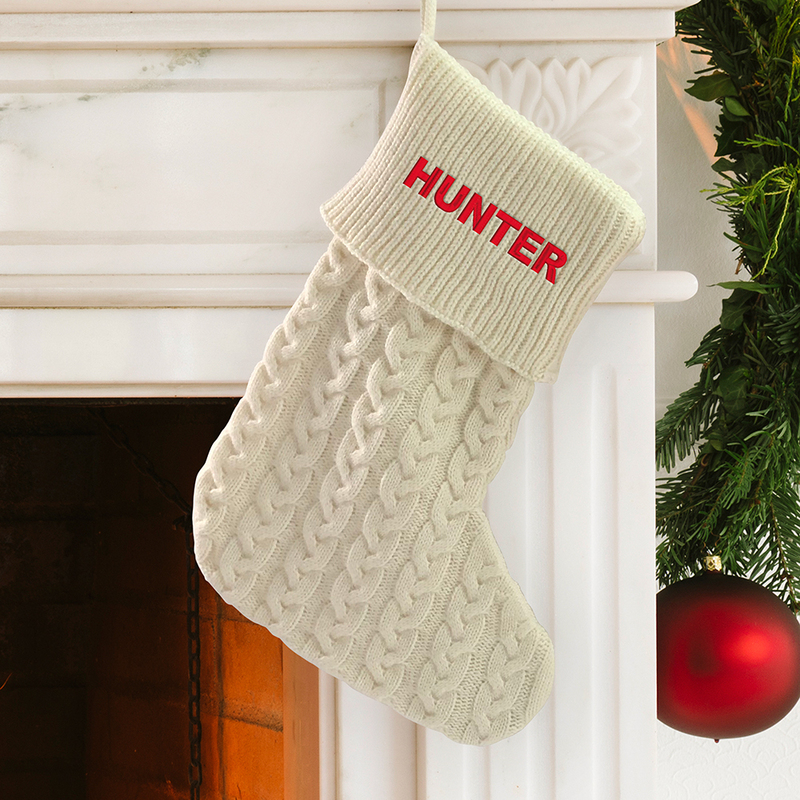 We will embroider this knit stocking with choice of stocking color, thread color and any name. 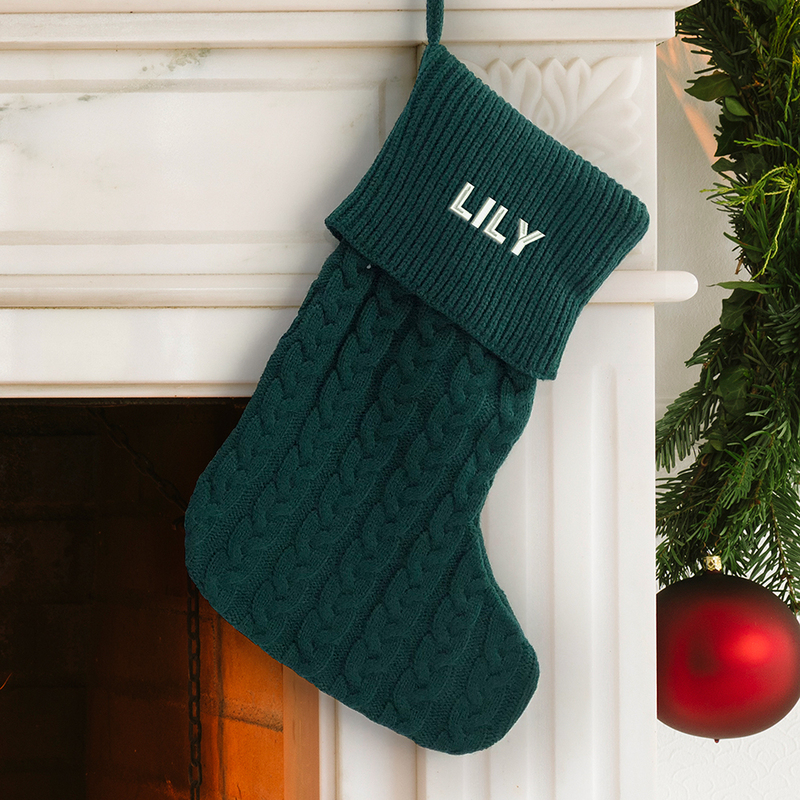 This is the perfect embroidered knit stocking for the whole family! These are very nice! I ordered them for the whole family this year and am really happy with them. I love them. Great quality for a great price. 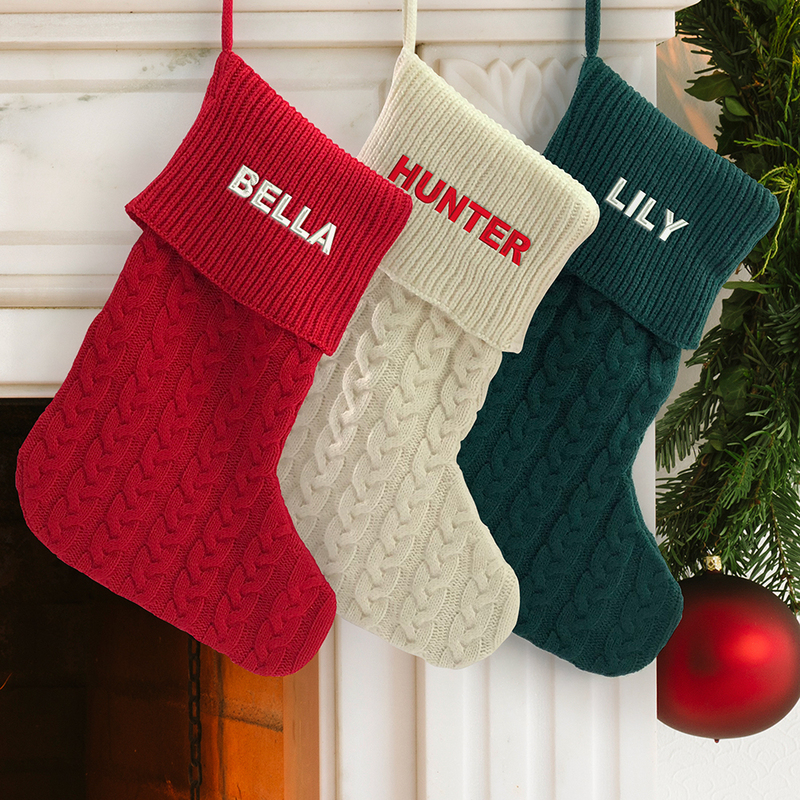 Additional Details Classic red looks terrific, but make sure you check out our other beautiful personalized Christmas stockings and Christmas tree decor, too!